As the summer starts winding down, I want to share what I have been reaching for day in and day out over these past few months. These are favorite products of mine, that meet the highest eco-standards, perform beautifully, and will continue to be in my rotation even when the weather starts getting colder. 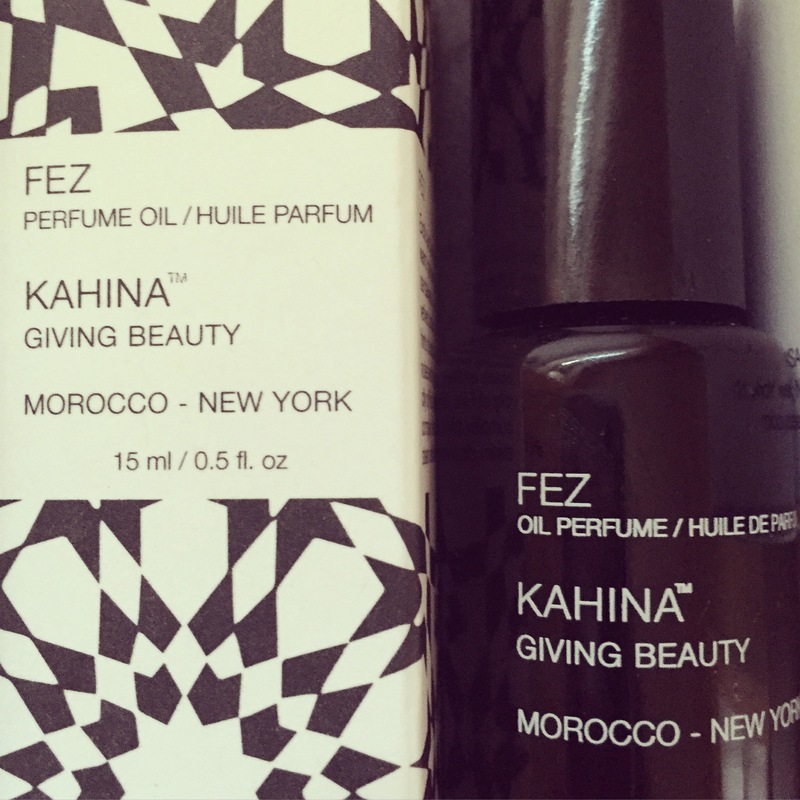 Kahina Giving Beauty, one of my all time favorite skincare lines, has come out with a perfume oil, Fez. Since I love this company and what they stand for, I really, really wanted to like this fragrance. 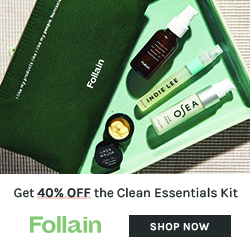 Kahina’s founder Katherine L’Heureux is an incredible woman with a huge philanthropic heart, so of course I have a bias towards loving this and was thrilled she sent me Fez. But honestly, all bias aside, this perfume oil is one of the best warm and spicy fragrances I have ever experienced, *natural or not. Here’s a peek at my recent SpiritBeautyLounge order. Of course my favorite part of receiving an SBL package is the goodies inside, but I also love the entire presentation. The sweet pink tissue paper, the way in which each item has been carefully placed in the box, and the always generous samples make an SBL haul, a special haul. 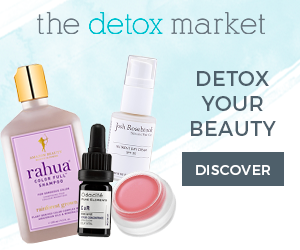 I haven’t tried the Rahua hair samples yet, but you can be sure that lollipop went right into my mouth as I unearthed the Kahina Toning Mist that I’ve been wanting since I read Dain’s review as well as the Intelligent Nutrients Finishing Gloss that will replace my almost empty bottle. I reviewed the IN Finishing Gloss last fall, and it’s back in heavy rotation this summer. I’ve taken to mixing a few pumps of the gloss with Weleda’s Rosemary Hair Oil and warming it all over my hands. I then run my fingers through my hair and pat the hair that frames my face to give it a little extra help tamping down the frizzies. A nice combing and an air drying gives me soft, pieced-out waves. Of course a great haircut also helps, but this method tames my thick, frizz-prone hair like nothing else. In addition to my order, SBL included a Wild Rose Lip Balm by Phoenix Botanicals for me to sample for possible review, and I am so glad they did. I adore this little balm! Its cute design belies its 100% biodegradable packaging with sweet illustrations and a sturdy feel. I love how you pinch the bottom of the tube to access more balm which also makes it easy to use every last bit. 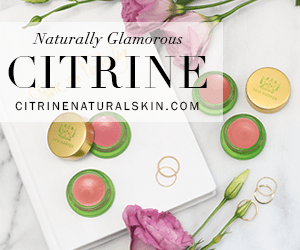 The balm itself goes on smoothly and hydrates just as well as my holy grail of lip balms, Dr. Hauschka’s Lip Care Stick. 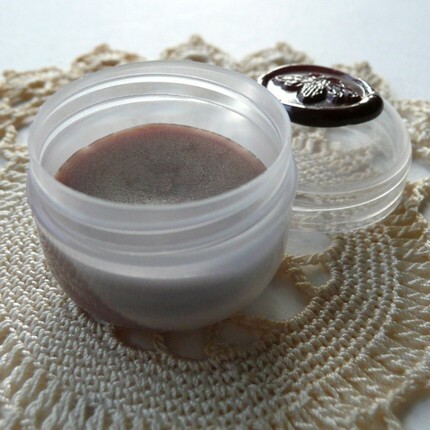 The balm itself is a bit thinner than the Dr. H balm, but it feels supple and does the job. As for the Kahina Toning Mist, I love it too. I would be hard pressed to do a more thorough job at reviewing the toner than Dain already has done, so please check out the above link to her blog, ARS Aromatica. Suffice to say, I am in full agreement with her rave review. Oh, and I almost forgot to mention my fabulously efficacious Soapwalla Deodorant Cream! I wrote about this product last summer and am thrilled that SBL has included it in their offerings. It’s a simple, all natural deodorant that truly works. 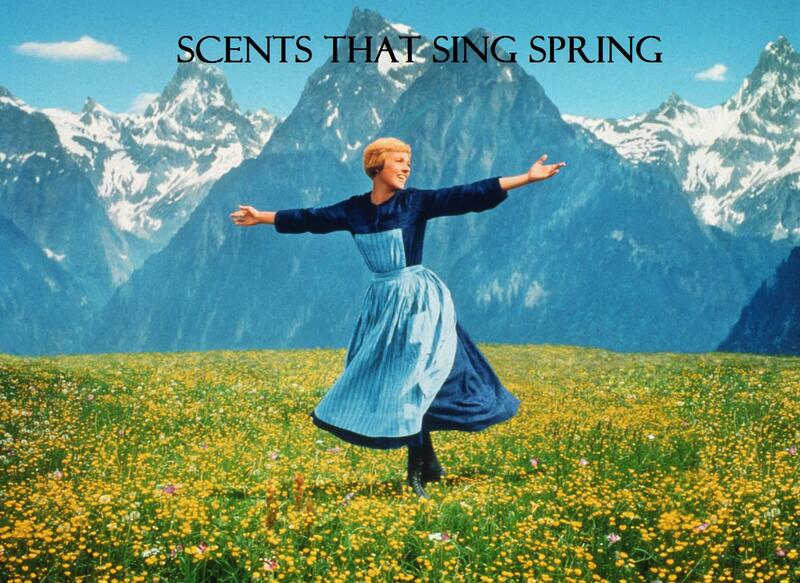 Scents That Sing Spring! A Blogging Event. Growing up in Phoenix, one scent above all others sang “spring.” Orange blossoms. Their melody is beautiful and lush and the desert air becomes saturated with the intoxicating perfume of these tender white blossoms every spring. 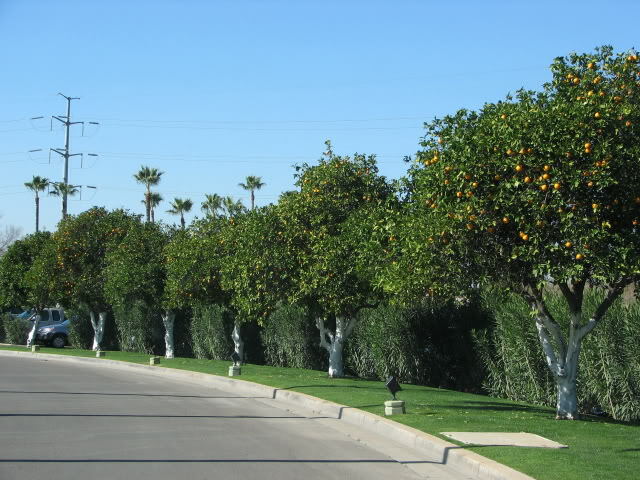 If you’ve never been to the Phoenix area, the orange trees are a funny site as the trunks need to be painted white to protect them from the blazing heat of the Arizona summer sun (as well as bugs). The photo just below is all about my childhood memories of Phoenix which always have a backdrop of white tree trunks and orange blossom redolence. I live in the Northwest now where orange trees do not grow, so neroli is my go-to scent when I crave the playfulness of childhood and the sensuality of wearing a voluptuous fragrance as an adult. Neroli is the oil from the orange blossom and has found its way into many of my perfumes and beauty products. The following is a list of those stand-out items from my collection that feature the exquisite orange blossom. 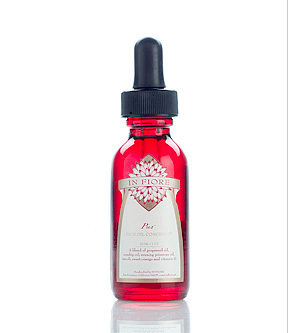 In Fiore’s Pur Face Oil Concentré is a fabulous way to pamper your skin as well as your senses. I use it as a nighttime moisturizer when my skin needs the attention of grapeseed oil, rosehip seed oil, evening primrose oil and vitamin E. These ingredients help balance skin that leans oily and is prone to breakouts. While those healing oils do their work on your skin, cold pressed orange peel oil and Tunisian neroli flower oil get to work on your psyche. Pur is pure neroli heaven. When I have it on my skin, I feel like I am lounging peacefully under the shade of an orange tree teeming with blossoms. Alchemilla’s Neroli Rehydrating Essence is another facial oil loaded with healing ingredients like jojoba nut oil, hazelnut oil; herbal extracts of ginkgo biloba, chamomile, calendula; and rosehip seed oil. All of which are organic. This too makes for a soothing nighttime treatment as the hypnotic essence of neroli lulls you into sweet dreams. 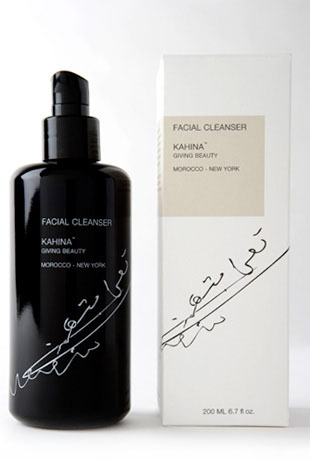 Kahina Facial Cleanser is a creamy, lightly foaming cleanser that I have been using for almost a year, and still love. The organic floral water and neroli oil create a light citrusy floral scent that is refreshing and relaxing. The gentle foaming action gets my face clean, but does not feel stripped dry thanks to the argan oil, oat amino acids and organic honey in the formula. At the risk of being redundant (regular readers know how much I love this product) I would be remiss if I did not mention Velvet & Sweet Pea’s Orange Blossom Body Frosting. I come back to V&SP’s frostings again and again because they provide luxurious hydration and fragrant pleasure. Laurie Stern, creator of V&SP, uses jojoba oil in her frostings that have been infused with Tahitian vanilla beans for at least 6 months. This bestows a creaminess to all of them, but especially to her Orange Blossom. 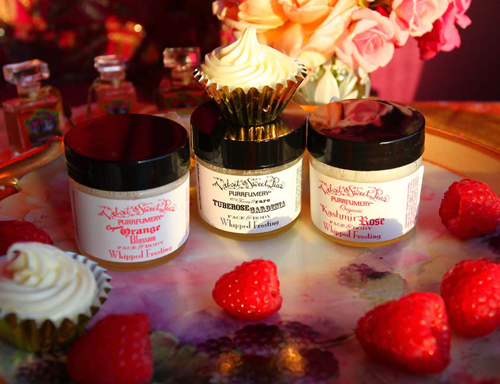 The result is a flirty, playful, uplifting fragrance that softens your skin better than any body butter I have tried. 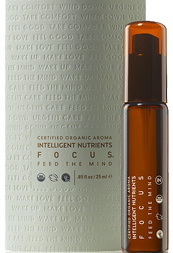 I am placing Intelligent Nutrients Focus Aroma in the “Skincare” section because it has many uses. You can spray it on your skin, face, and hair for light hydration and a gorgeous scent. Aside from neroli, bergamot, jasmine, rose, chamomile, geranium, and ylang ylang complete the essential oil list of Focus. Even though that’s an impressive floral cast, neroli commands the fragrance leaving the others, most notably rose and jasmine, to enhance the orange blossom. Galatea by Strange Invisible Perfumes embodies the intoxicating nature of neroli. Galatea melds neroli with galbanum which gives it a green clarity, tuberose which provides sensuality and benzoin which graces the mix with a soothing warmth. This is a fascinating and intriguing perfume, one that needs to be a part of my collection sooner than later. Roxana Villa launched her Chocolate Natural Perfumes this year, and her Fleurs de Orange remains my favorite of the lot. Neroli, blood orange, and orange blossom absolute flourish on the skin while dark chocolate gently envelopes the citrusy floral perfume. Fleurs de Orange is not sweet like candy, but it is a honeyed gourmand that gives a new spin on my favorite springtime scent. 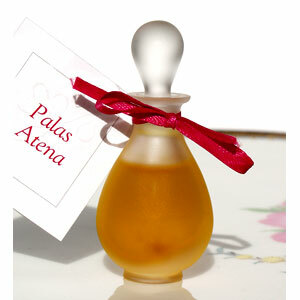 Palas Atena by Ayala Moriel Parfums feels very classic to me. It’s a gorgeous blend, created with a skillful hand. Neroli, along with patchouli, lavender, and amber, are radiant in the opening, each note moving seamlessly into the other. The more I wear Palas Atena, the more attuned I have become to champaca and cinnamon in the heart, but again, the essences work in concert, merging harmoniously. I look to Palas Atena when I want a sophisticated scent that uses neroli’s floral elegance, not as a soliflore, but as a traditionally composed perfume with a vintage feel. Please visit the following bloggers who are also singing about the scents of spring!